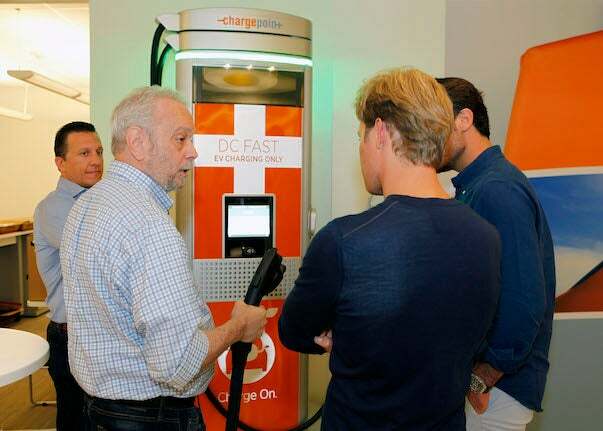 Join the Charge: ChargePoint Career Opportunities! If you'd like to join us in the rEVolution, take a look at our current job openings! We have openings available across the globe! Transforming transportation and having fun while doing it! Here's more on why ChargePoint is such a great place to work. Pictured above: Dave Baxter, our co-founder and Vice President of Product, recently showed Nico Rosberg, Formula One World Champion and Racing Director for Mercedes Formula E Team, some features of our modular Express Plus DC fast charging solution. Don't forget - we're hiring! We're growing rapidly and we're still looking for talented, experienced people. View open positions and send us your resume at the link in our original post! We're growing rapidly and we're still looking for talented, experienced people. View open positions and send us your resume at the link in our original post above! 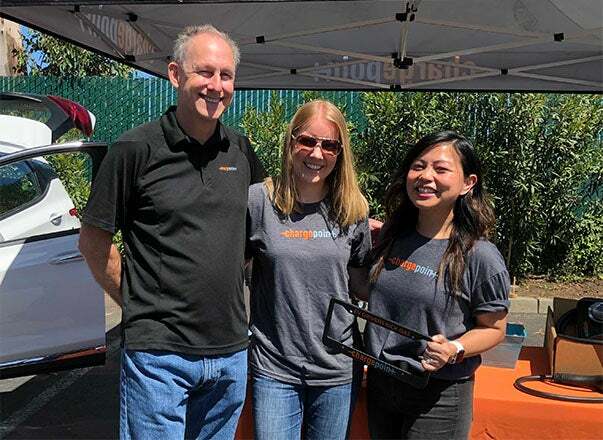 This past Earth Day, ChargePointers participated in several events around the country—and the world—that reflect our commitment to electric mobility and show just how many different audiences care about this topic. We attended a Health and Human Services event in Washington, D.C., joined forces with the Port Authority of New York, spoke alongside Google Germany GmbH and Fluence Energy at the U.S. Embassy in Berlin and celebrated Earth Day with EV drivers in Palo Alto. Thanks so much for posting! I just applied for the Sales Operations Analyst internship! I'd love to work with you all! Since 2014, our office in Scottsdale, Arizona, has grown 800 percent and invested more than $10 million in the Scottsdale area through our office presence and ongoing job creation. Learn more about our work there and how you can be a part of the shift to electric mobility. Don't forget, we're hiring nationwide and in Europe! The EV market is heating up internationally: EV sales in Europe grew an impressive 47% in the first quarter of 2018 compared with the first quarter of 2017. By 2040, 54% of new car sales and 33% of the global car fleet will be electric. To meet that demand, ChargePoint is busy building out the charging infrastructure for global electrification with growing teams in North America and Europe, two of the world’s largest EV markets. 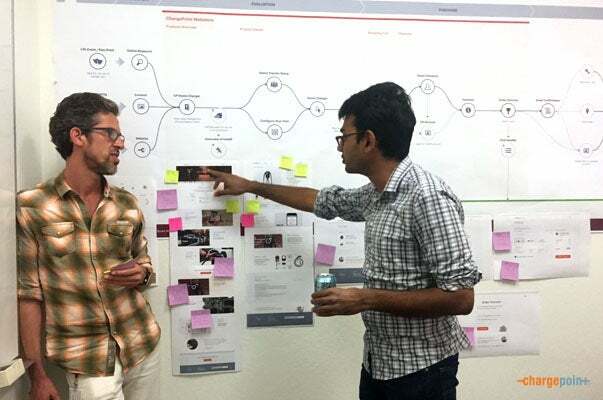 Want to help us transform transportation? 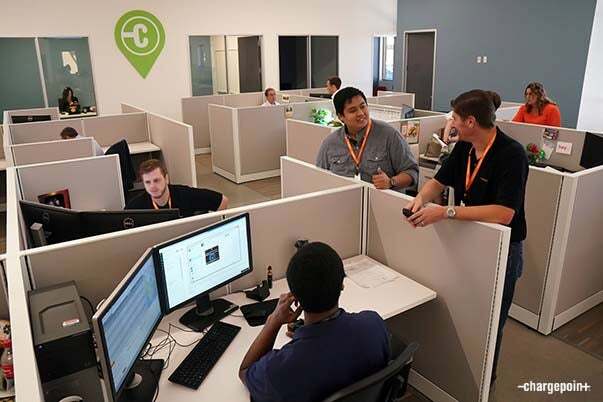 ChargePoint is still hiring in the US and Europe - take a look at our current job openings!